Oh how I love working on my garden surrounded by beautiful fragrant flowers. But each year with the beautiful blooms come the weeds and grass. As I talked with the Lord in my garden today, I was telling Him how tiered I was of tilling up the dirt, over and over, every year, usually a couple times a year. Carefully hand removing every grass root I find. Posted by Jackie Little Miller in FOOD FOR THOUGHT!, I LOVE MY LIFE! So, A couple of years ago we cut down the cherry tree that was in our back yard. But when the tree went away so did my beloved birds. I quickly planted more trees to create shelter for them, but trees are slow in growing. 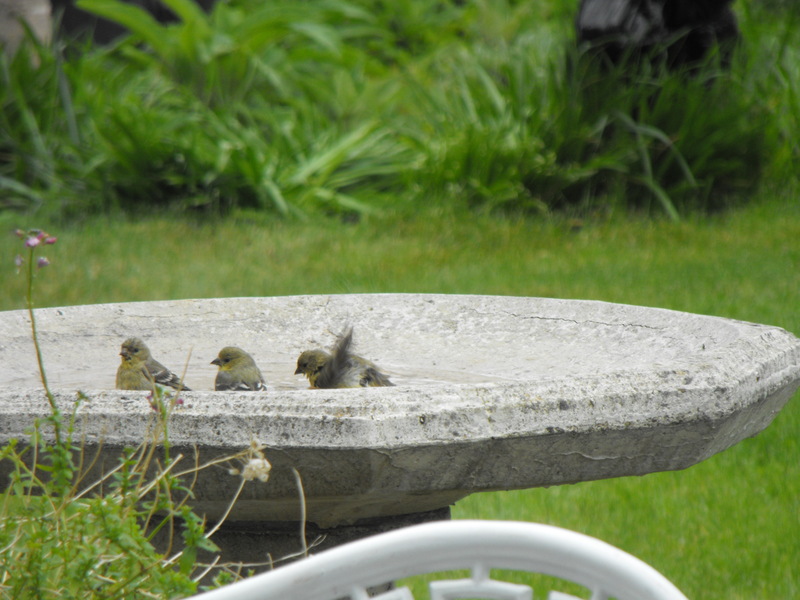 I hung bird food out for them, but to no avail. 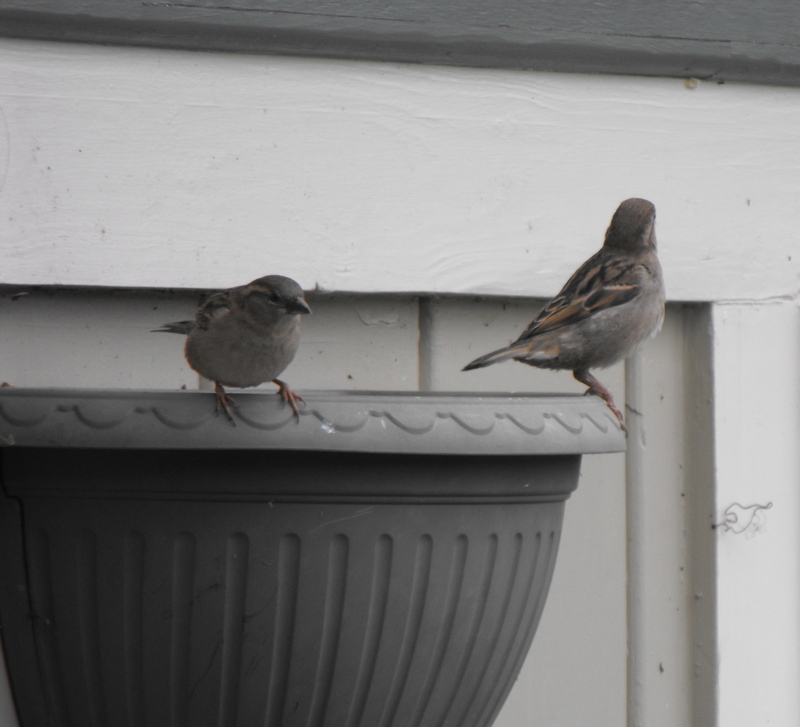 Not even my usual sparrows would have anything to do with my yard. It was very sad for me as I love music and the bird’s songs are the most beautiful music on the planet. So Peaceful! So this year I Put a beautiful birdcage on our back deck and hung the seed inside of it, To protect any little birds from any big birds that might bully them. 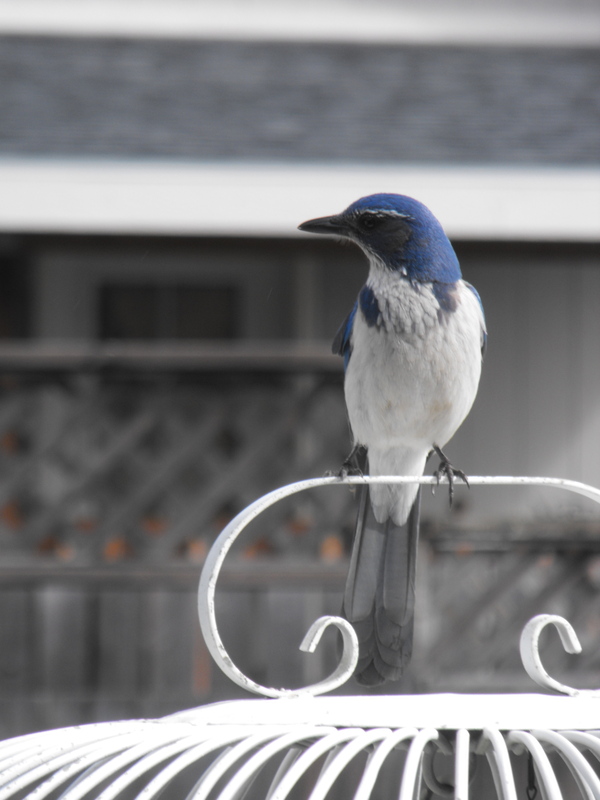 I sat at my back window for days, hoping and praying that birds would return. But it just kept raining and raining. Then after several weeks of nothing, one day one single bird came and partook of my grain offering. 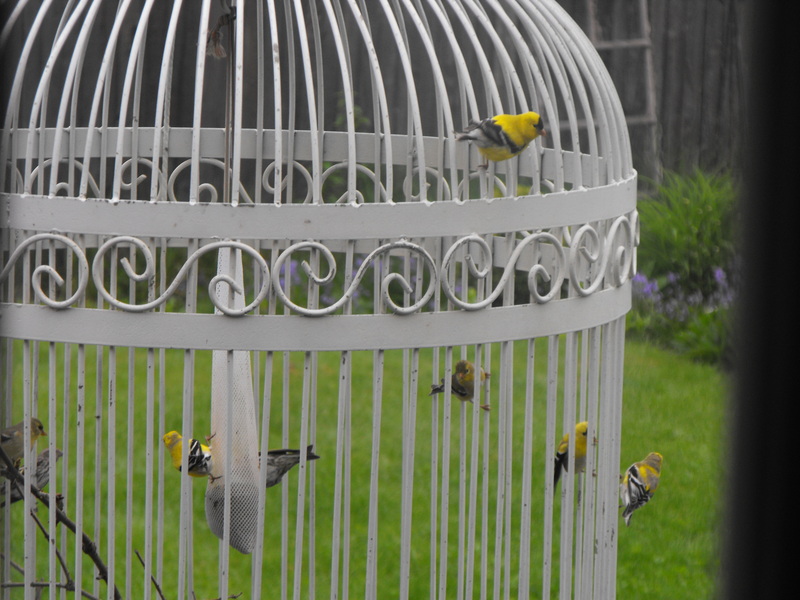 I told my sister “ I hope he goes and tells all his friends about the beautiful bird cage restaurant.” The next day there were two birds, the next 5. After about a month of the birds being back, I wake this morning to a beautiful serenade from many birds so loud that it sounds like a nature sound track playing. 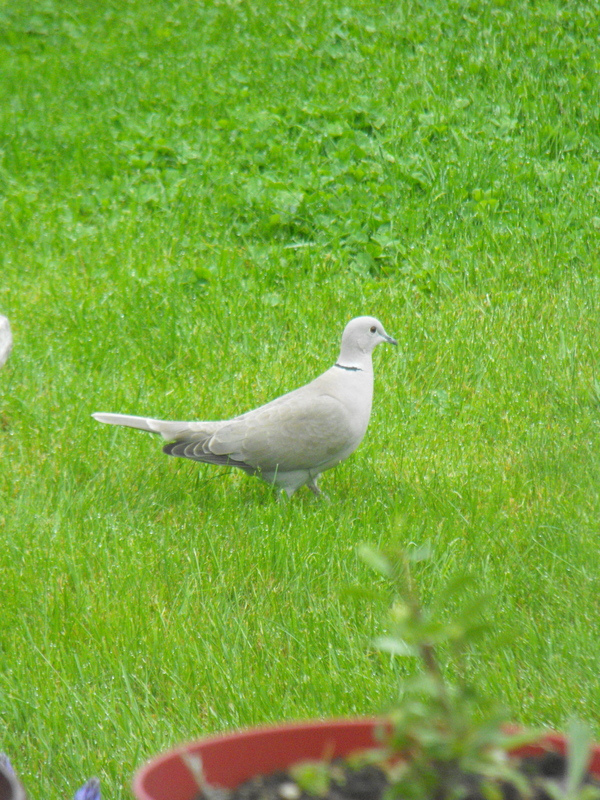 I open my curtains to see Gold Finches, Sparrows, some unknown black bird with yellow feet and beak and to top it off a pair of Morning Doves. Thank you Jesus for bringing me the desire of my heart! Psalm 84:3Even the sparrow has found a home, and the swallow a nest for herself, where she may have her young— a place near your altar, LORD Almighty, my King and my God.~~~ I love my life!